AT LEAST I'M DOING another update within the same calendar year. Hot damn! Went on a brief hiatus, which just ended. Just updated the Current Projects section as a result. There are more projects on the horizon, I just can't talk about them yet. Hope everyone is well! WOO BOY AM I TIRED. Been too long since my last update. Did a complete update of the current projects to make it actually current. Lots of fantastic projects this year. I'm going to intentionally slow down after March. Hopefully take a design break until after Fringe, which is going to be epic this year. Have some really exciting projects coming up this Fall that I can't talk about yet, but it's going to be a great year in theatre. WELL I'M BACK from NYC, after a successful trip teching the Off Broadway incarnation of the Lenny Bruce show. Such an honor to work such amazing folks! Looking forward to going back eventually. Lots of great work running in Los Angeles right now, both that I worked on and not. Get out and see some theatre! FINALLY ADDED some things to the current projects page. I've been doing a lot more rentals and one offs lately, and haven't had too much to report here. The Fall promises to be, well, crazy. Per the usual. The Hollywood Fringe Festival kicks off this week, and I really hope everyone is able to see as many shows as possible. There's a lot of really great content out there this year. Go see some shows! UPDATED the current events page. Lots of projects coming up this year. I have some other projects in the works that aren't solidified yet, but as soon as they are I'll update them here. Promises to be another busy year. I'm keeping this update short, but I intend to update again soon. Thanks all! I READILY ADMIT that 7 months between updates is a little much. I know that. It's a stated fact. But it's really been a roller coaster of a year. I got engaged in April, had a death in the family in June, moved in August and had a string of awesome shows somehow squeezed in there as well. Oh! And just this last week got nominated for an Ovation for my efforts on "Search For Signs of Intelligent Life in the Universe: Revisited"! So as this year begins to wind down, I've added my current schedule for next year, including some really exciting stuff. I'll make a better effort to keep this page updated, he said, probably lying. Thanks for reading, and go see some shows! Well, I'm in much better spirits. I took a 3 week sabbatical from work and got my family mostly situated, I think. If we're not friends on Facebook you've been spared the drama of some intense health issues with both of my parents. Fortunately they live relatively close and I'm pretty decent at juggling, I've found. In other news, there are some pretty exciting gigs coming up. I'm not sure which I can talk about publicly yet so I'll leave it at that. But 2017 is shaping up to be, well, not as bad as it seemed! Hope all are well out there. Holy Mackerel. The Ovation nomination came out today and I'm just flabbergasted. I received nominations for both lighting and sound, for Hit the Wall and A Gulag Mouse, respectively! This year has just been sensational professionally. I couldn't be happier with the shows I got to work on and the designs I got to tackle. It's been immensely rewarding. I may have one project next year that I can't talk about quite just yet. I'm still officially on a design break, but I think this project is far enough along into the year that I can take the gig without fear of dropping out for a prolonged family emergency. That situation is still progressing, but is much more stable than it has been for the balance of the year so far. I want to give a general thank you to the community at large for the support; every show, every person, even strangers have been just spectacular. I wouldn't have made it this far without all of you, and I am so lucky to have you. In the mean time, see you at the theatre! Hi again. Life stuff prohibited me from really updating the site at all. Mostly family things, mostly ok at present. It's been a long year. As you can see, I gave the whole site a little polish. Decided to spiff it up a bit. And get current! So everything here should be what's actually going on, for at least the present. There's probably going to be fewer projects between now and the end of the year, but there are some big announcements coming, specifically regarding rentals (and how much I'm trying to push them). Hope all are well in the meantime! And go see some shows! Two updates in one month? Wowzers. Not too big an update this time, but expect a much bigger announcement in the coming weeks about a project that I'm just over the moon about. It looks like it is going to happen, but horse before the cart and all that. In the meantime, I've updated the Current Projects section and added pics from Fool For Love. It's going to be an exciting Fall and Winter! Well, not nearly as exciting as award hubbub, but I am pretty well booked up for the rest of the year. Very excited and honored to be designing lights and sound for King Lear for the LOFT Ensemble in their new home. I also may know the guy doing the original score. Currently booked up with Fringe shows (check out the freshly minted Current Projects section), after a coupla year break. It's good to be back. I look forward to seeing some old pals at the Fringe bar this year. June is always an exciting month. Speaking of exciting, I do have some news that I can't talk about just quite yet. But if it does indeed work out, it's a doozy. Stay tuned. Well hot damn! I won an LADCC for Hit The Wall! I'm not used to speeches, so apologies to everyone who had to sit through my rambling comments. And HUGE thanks to the LA Drama Critics Circle for the honor! Hit The Wall wound up taking 6 of the 7 awards it was nominated for! I'm so incredibly proud of that production and thrilled for the recognition. This really is an embarrassment of riches. All 3 of these shows were an absolute pleasure to work on. Hit The Wall got an unprecedented 19 nominations. And we're only in March. I can't wait to see what the rest of the year brings! I can say for certain what April will bring. I've been in pre-production for A Gulag Mouse at Sacred Fools, and that show is going to be mind exploding. I'm doing lights sound and original score (as autodealer) on that one, and if it's half as cool in reality as it is in my head, then it's a winner for sure. 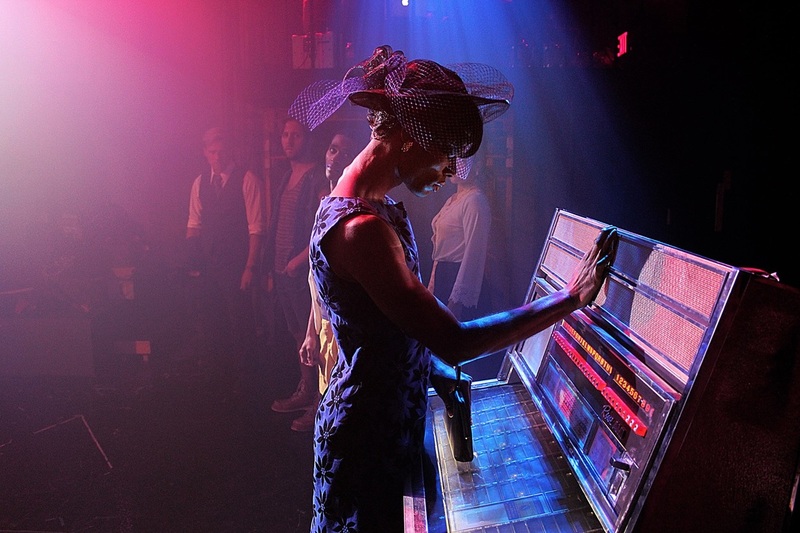 And the current production, Past Time, is winning over critics and audience alike. 2016 is looking like a banner year, professionally. I hope your year is treating you kindly as well! Well this year is off to a helluva start. Hit The Wall has been nominated for both a Robby Award and an LADCC for Lighting! This show was such a pleasure to work on, and, as cliched as it sounds, it really is an honor just to be nominated. I was genuinely sad to see this one close. It's shaping up to be a busy year, with less design work than normal due to family obligations out of town. But it's a welcome break, regardless of the reason for it. Hope everyone is having a happy and healthy 2016! Yup! I got nominated for an Ovation Award! My 3rd nomination in 5 years, this is an incredible honor and I am among a list of RIDICULOUSLY talented designers! This complete list of nominees is available here. The LA LGBT Center (my day job, where I am designer in residence) also came up big in terms of nominations, including Best Season and numerous nods for The Goat. I couldn't be more thankful and honored. I am in the middle of tech for one of the best shows I have ever had the honor to work on. Hit The Wall, opening next week at the LA LGBT Center, is just...I don't have words. From top to bottom this show is simply breathtaking. The whole team is just simply a dream, and I can't believe how lucky I am to be a part of it. Anyway, I'd make your reservations soon because this one will sell out. I do not do well with the whole passage of time thing. Sigh. The year is flying by. I've been fortunate enough to (again) get to work on some fantastic projects. I've updated the Gallery (Astroboy and Stanley Anne + some reviews for some others) and the Current Projects section (I really need to stay more on top of that section). If you get the chance to come see Empire Burlesque at the Broad, it is incredible fun. We're in tech this week, and man. It is a blast. I rarely get to have this much fun while doing my job. I'm really very lucky. I'll probably update again 'round Christmas. Or maybe New Years. I have been remiss. Again! Almost 2 months between updates. Lots of news in between, however. 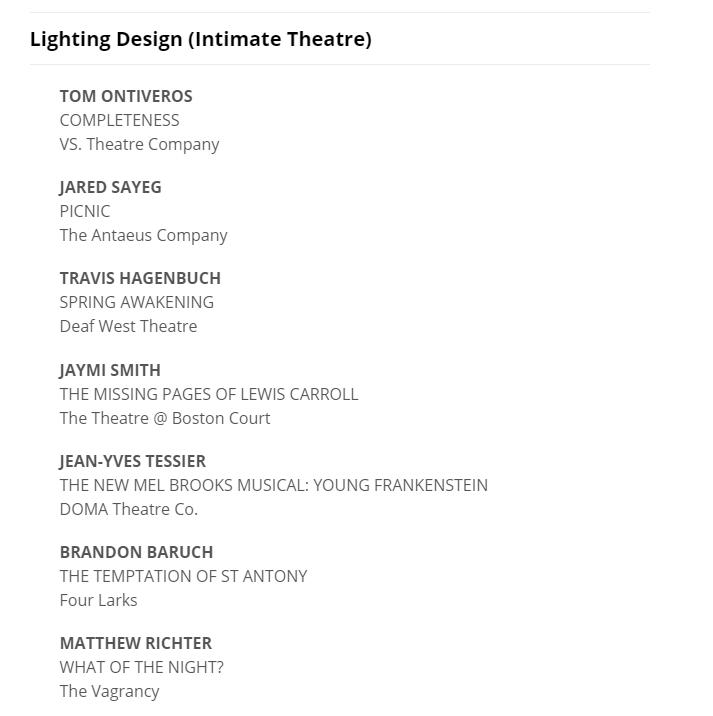 For starters, I was nominated for an inaugural award in Lighting Design for the LA Theatre Awards! Presented by Stage Raw, these take the place of the now defunct LA Weekly Awards, and I couldn't be more honored! Secondly, I updated the current projects page, with lots of new goodies. It's a busy Spring, that's for sure. Lastly, you may have noticed that my splash page now contains a link to the I Love 99 webpage. If you're not up on the current fight going on in LA Theatre, please do take a look. It has the potential to effect a lot of people, in a not so great way. In the mean time, go see some shows! I haven't updated since last year? Shocking. This year continues to be busy. Lots of shows (for now). Nothing terribly pressing to update. Just busy busy busy! Well, the year is winding down (thankfully). It's been a tough one. The last half especially. Looking forward to a few minutes off before jumping headlong into 2015. I'm pretty well booked through March of next year, which considering how I'm toning down the workload is pretty impressive. I probably won't post anything news-worthy until the new year. In the mean time, I hope every has a safe and happy holiday season. Merry whatever-you-celebrate! What a month this is shaping up to be. I currently have 3 extremely well reviewed shows running (The Goat, Banshee and What of the Night), had a sensational one night show at the gorgeous Smothers Theatre at Pepperdine University (Primal Scream), tech a really cool pair of one acts next week for A Theatre Connection (This Is Banned), and end the month prepping to light the LA LGBT Center's Annual Gala. The next night, I get to see the recently re-formed band Slowdive (one of my all time favorite groups in the universe ever) perform in downtown LA, and then I get to take a breath before starting to prep for next years slate of shows. There may be some exciting news coming during the month of November, however. I'll post about it here once the ink is dry. Hope everyone is doing well! And I hope to see you at the theatre. The response to The Goat has been, in a word, unbelievable. It's already Ovation Recommended. It's already selling out. It's one of the best productions I've ever worked on. You should really go see it. In other news, I'm already getting booked out for next year, which is always reassuring. Still a couple of surprises left in store for this year, however. Stay tuned. Getting that current projects section filled up is always so gratifying. Recently added the Vagrancy gig, who I've wanted to work with for, well, forever. They have a stellar reputation, and I'm also a fan of their work, which is always nice. The Goat opens this weekend, and man...what a show. I'm so honored and humbled to be a part of it. You can get your tickets here, although I've heard a rumor that opening weekend may already be sold out, if not VERY close. I know it has an extended run, but don't dawdle on this one because tickets will go quickly. Looking forward to adding new photos as I get them. This is shaping up to be a terrific Autumn! Hiya! I'm pleased to announce that I am officially booked up for the rest of the year! I'll update the Current Projects section once the calender is set (some of it is a bit...complicated) but I'm really excited about these upcoming projects. It's been a helluva year, and it looks like it's going to end strong. Haven't posted any news for a while. 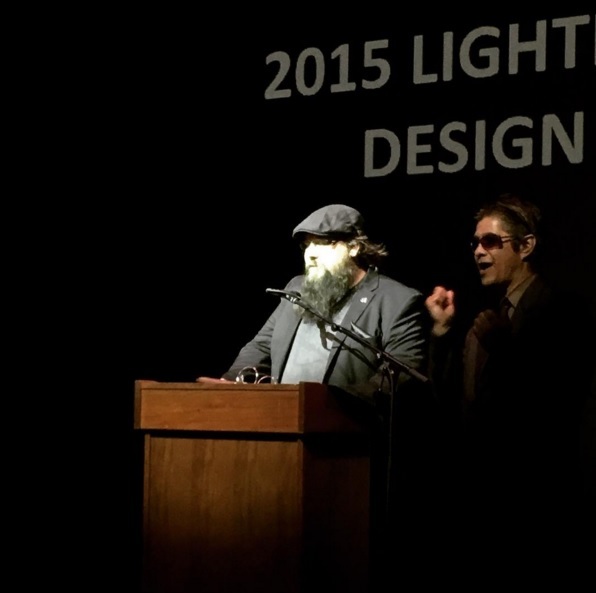 Nothing really to report, other than I'm currently available for lighting design gigs. Like, really available. As in, haven't been this available in a very long time. Not complaining; I actually got to enjoy the Fringe Festival this year. Strange, yes? At any rate, if you think I'm a good fit for your production, don't hesitate to contact me. Otherwise, I'm going to keep looking for hobbies. And that never ends well. I did add some photos from Sunny Afternoon from last year. Great show. Over the moon to have been nominated, and won an LA Weekly Award for Lighting Design for Do Androids Dream of Electric Sheep. Now back to work. Lots of updates to the current projects section. Finally got caught up to date. There's also some pretty neat things on the horizon, but we'll have to wait a while to make them public.